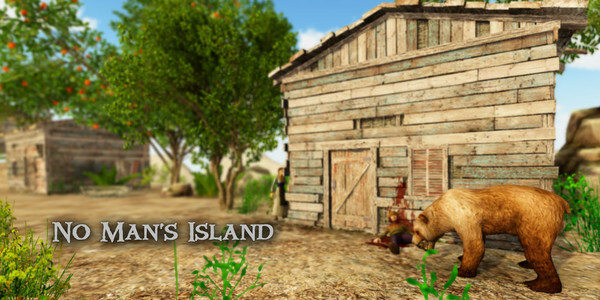 Step into the epic adventure of the legendary pirate Captain Henry Morgan. 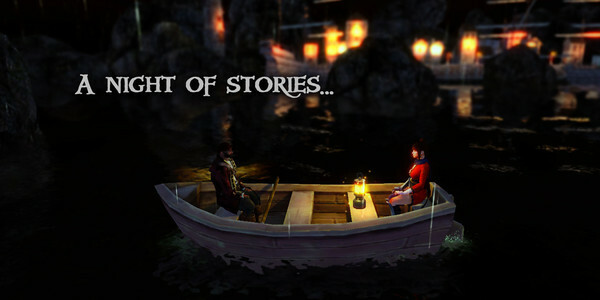 Inspired by true events from 16th century, Caribbean Odyssey is a beautiful tale of loyalty, love, betrayal and revenge. 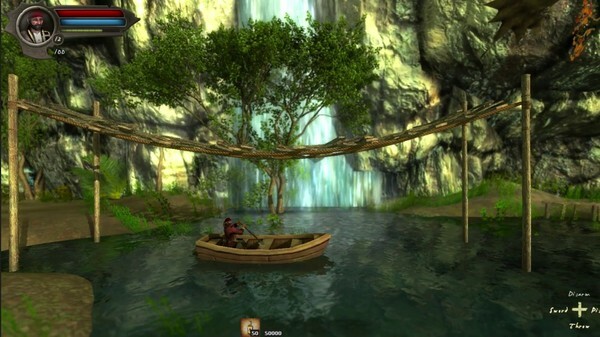 Explore a lavish and colorful world of secrets in 2.5D. The journey of Captain Morgan takes you through Caribbean islands, caves, dungeons, jungles and populated cities. 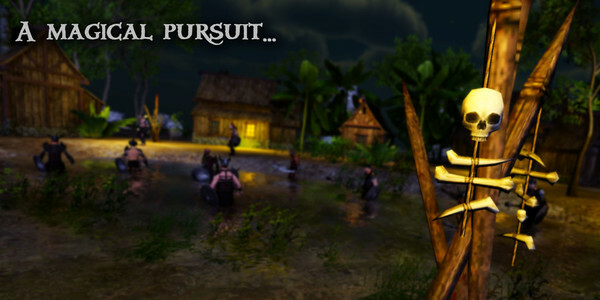 Unfold the mysterious truth as the most wanted pirate of the Caribbean flees from the city of Port Royal to escape the wrath of evil Governor Thomas Modyford. Does he really have the map to the mythical City of Gold? 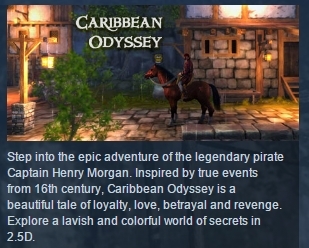 Caribbean Odyssey is the first installment of a long tale that tells a compelling & epic story of the legendary character, Captain Henry Morgan. 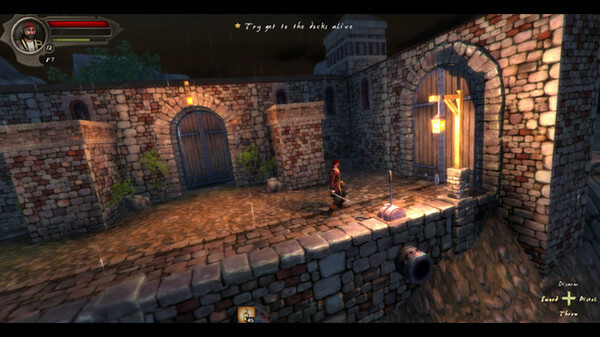 The story begins at Port Royal in 1655, where Henry Morgan comes to see a mysterious woman named Merry Carleton. Henry Morgan had just previously returned from Panama, where he was sent by the current Governor of Port Royal, Sir Thomas Modyford. Captain Henry successfully crushed the Spanish Army and laid the capital under siege for weeks. Eventually the Spaniards were forced to pay him a large ransom to avoid the total burning and pillaging of Panama City. Governor Sir Thomas Modyford was a trusted fellow of the British Crown and was known for his cunning and greed for gold. He sent Henry Morgan to Panama because taking over Panama City would open the doors for the Royal Navy to strengthen its stronghold over the open waters. Unfortunately, in a cruel twist of fate, the Spaniards and the British Royal Crown had already signed a peace contract before Henry Morgan’s conquest. 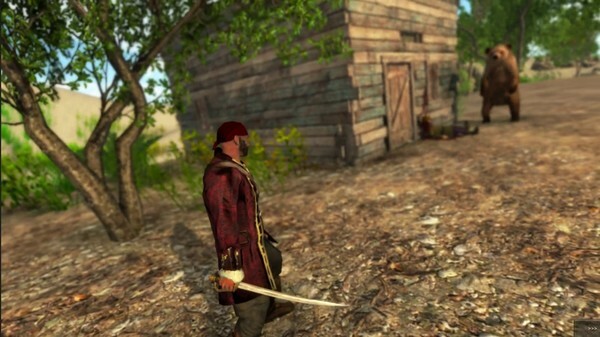 As a result, Henry Morgan’s actions are decreed as piracy, and the Royal Crown declares him as an outlaw and places a hefty bounty on his head. The cunning Governor Sir Thomas Modyford saw an opportunity to at once please the Royal Crown and feed his greed by agreeing with the Spaniards to go on a joint expedition to hunt down the mysterious and rumored City of Gold in exchange of taking down the outlaw who single handedly took out the Spanish forces in Panama. Now Captain Morgan is caught in the cross hairs of the Crown’s Justice and the vengeful Spaniards.